CONTACT US TO FIND OUT IF YOU QUALIFY FOR ALL UPGRADES PAID FOR UP TO 60%! 1. Have a home energy audit performed to identify the largest sources of energy waste. 2. 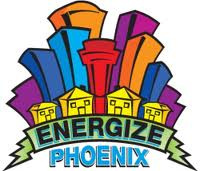 Your Energize Phoenix approved contractor will walk you through each recommendation, its costs and offsetting rebates and cash incentives available through APS and Energize Phoenix. 3. Complete and submit the Energize Phoenix paperwork and your Energize Phoenix contractor will complete any work you requested and facilitate the rebates on your behalf. Rebates are available upon 6-8 weeks of completion of install and include the following.